Marlee Starliper moved up to face college competition on Saturday and the Northern High School junior walked away from Penn State's Ashenfelter Indoor Track with the win and the ninth fastest 3,000 meter time ever recorded by a high school girl. The multi-time PA state champ Starliper ran 9:20.91 at the Penn State National Open, defeating a strong collegiate field. 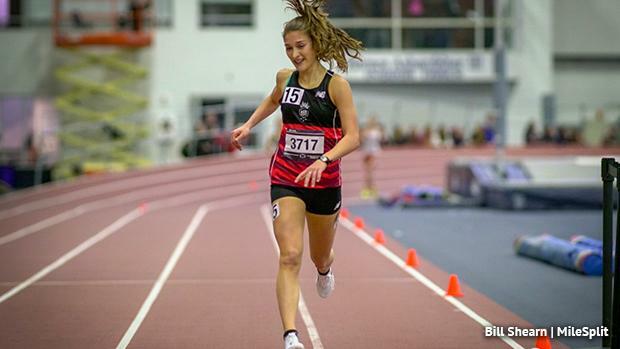 In the process, she also broke the Pennsylvania state record over 3,000 meters, topping Tessa Barrett's previous record of 9:31.09 (en route to a 5K at New Balance Nationals Indoor). Starliper hung in a small pack, which included Penn State's Kathryn Munks and LaSalle's Grace Mancini. 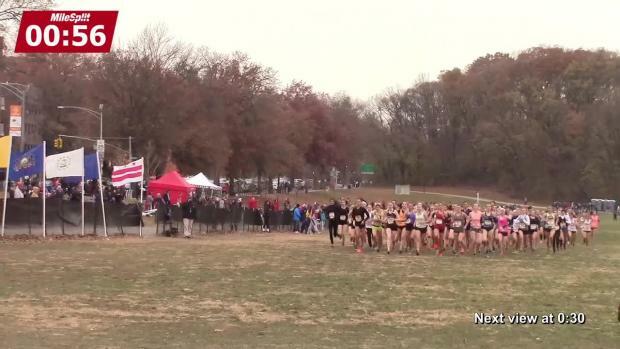 At the 2K point of the race, the high schooler made a charge to the front. From there, she turned on the jets, making her last kilometer her fastest and rolling to a big negative split win. 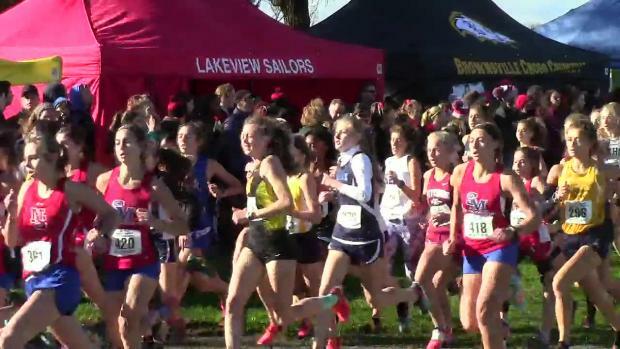 Starliper's 9:20 is a current US#2 time. Only New York's Kathlyn Tuohy, who ran 9:01 earlier in the day at the Armory, has run faster this season. Starliper moves up to No. 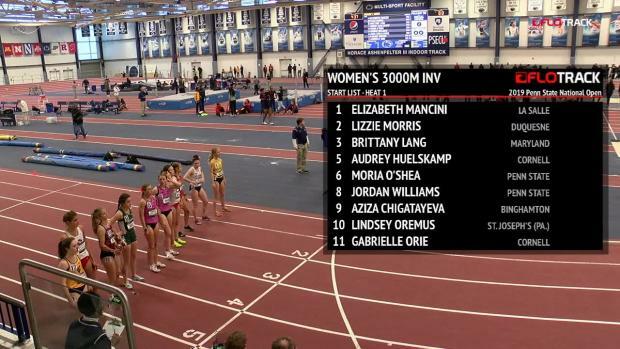 9 on the all-time high school list for the 3K distance. 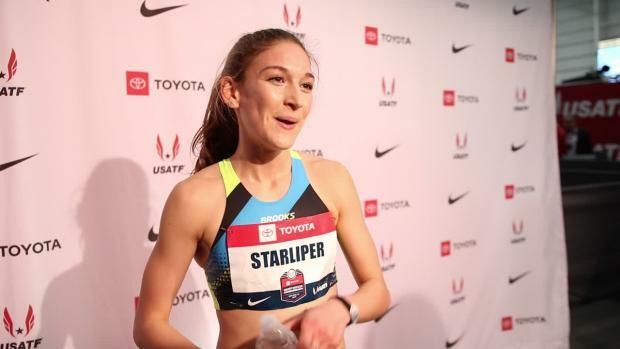 Starliper went 9:55 for 3K two weeks ago, and that came with short rest after winning the 800 meters earlier in the same meet at Susquehanna University. 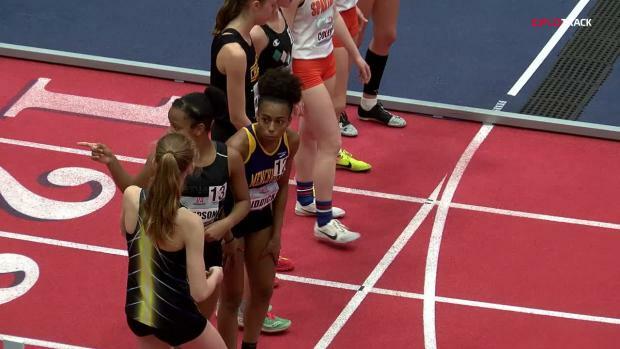 Last week, Starliper won the 1K at the VA Showcase in a US#5 time of 2:50. 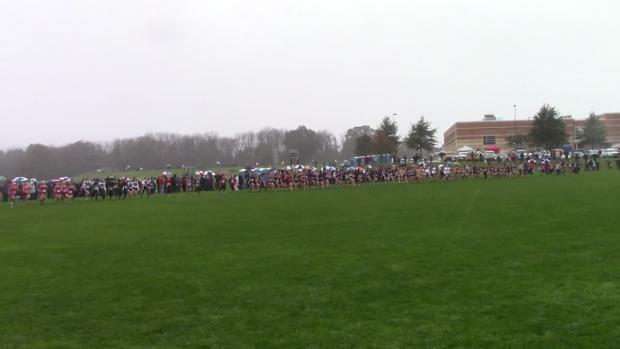 A race video (via FloTrack) will be posted later. Check out the an interview with Starliper and race results below.